A Russian man at a history festival made made it clear that drones are not welcome as he takes it down with a spear. 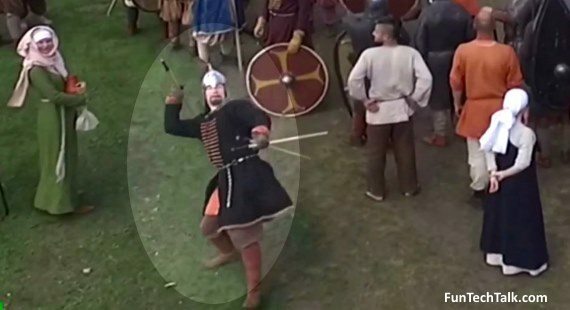 The drone is owned by Gennady Tolcheyev, who was out shooting some aerial shots of a historical reenactment in central Russia (Lipetsk region) when a man dressed up as a Russian warrior chucked a spear at his drone. The gladiator fired a great toss, bringing down what look like a DJI Phantom with little effort. Lets just hope the spear didn’t come down in the kiddie ride section just out of view.